Streamlining check in: Stylists get all their guest's info delivered directly to their phone or tablet—instantly. John Robert’s bold move further enhances the guest experience. The John Robert’s Spa, with four locations in the Cleveland area, is well known for its outstanding customer service. Owner John DiJulius consults with Fortue 500 companies and regularly speaks to business owners in and out of the salon and spa industry about taking service to the next level to create loyal guests. So when DiJulius and his managing partner, Eric Hammond, opened their fourth location in Strongsville, Ohio, they saw an opportunity to enhance their customer service even more. Hammond says once they figured out the logistics of a salon without a reception desk, it was full speed ahead. First, they figured out the physical logistics of the space, ironing out details like where to hide the cash drawer, product bags, gift cards and even a printer. To maximize the space even more, a coffee area and flat-panel TV with seasonal marketing initiatives are placed above the table. Next, they focused on freeing their guest service coordinators from standing behind a computer all day. Eliminating the phone was simple, thanks to a call center. However, coordinators wear Bluetooth ear pieces to take calls from the center when needed. Hammond found a Windows-based tablet that could run all components of their salon software, SalonBiz, as it was formerly running on their old front desk computer, and now they use this tablet as the primary tool for the guest care coordinators in the salon. 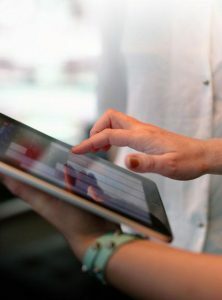 iPads loaded with the SalonBiz™, app are also scattered around the space for them (and stylists) to use as well. “The coordinators service anyone who needs anything,” Hammond explains. In fact, retail in Strongsville is 30% higher than the previous best John Robert’s Spa. The mobility of the guest service coordinator is key. Not only is there someone to help guests with retail, the coordinator can also walk through the salon to see if stylists are running over on time or need help. The retail experience is enhanced as well. 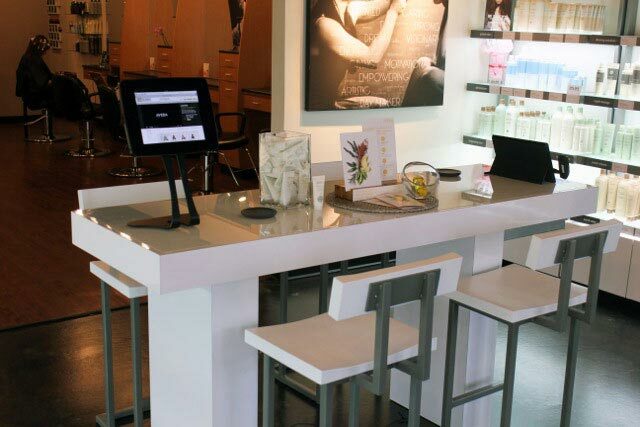 The SalonBiz™ tablet app has been a key component to guest satisfaction with the new setup. It has helped eliminate the process of formally approaching a front desk and creating a more personal environment. “When a guest comes in, they are greeted by the guest care coordinator, who confirms check in,” Hammond says. Checking out is even better for the guests—they don’t ever have to leave their chair. “Guests have the option of checking out right from the chair or seeing a coordinator in the retail area,” he adds. The app has streamlined the check-in process for stylists, too. They get all the information about the guest, when she has arrived, delivered directly to their phone—instantly. And because the guest care coordinator isn’t tied to her desk, a lot more communication, including non-verbal cues, happen between her and the stylists. Feedback from staff on the SalonBiz stylist app has been nothing but positive so far. “I’ve never implemented a system in the salon that took off as quickly as this,” Hammond says. “Within 48 hours, everyone had downloaded it. They love to see their book on their phone when they aren’t at work. “They can see what their day looks like, run reports and generally have access to information they used to only be able to retrieve in the salon while they were standing in line behind another stylist trying to get access to a computer,” he adds. Hammond says stylists who previously didn’t pay attention to their numbers are now fully in tune with all their stats. 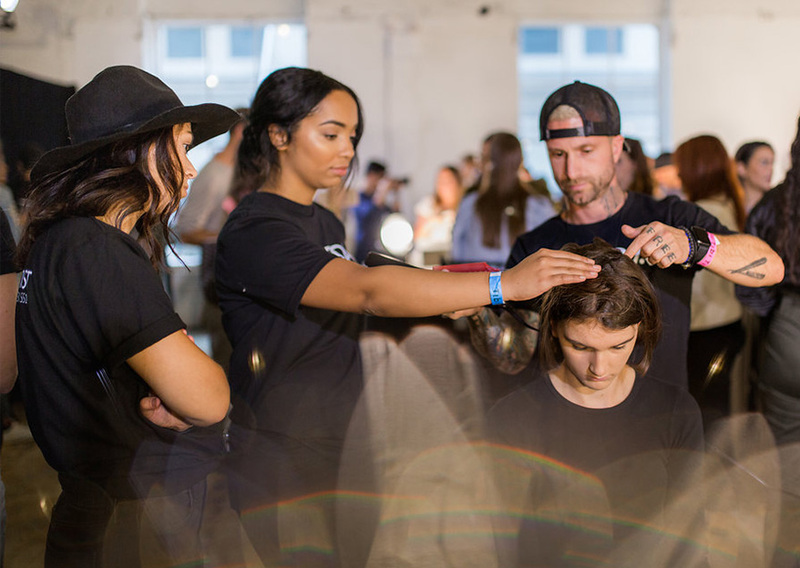 “Now, when they have down time, they’ll pull up the SalonBiz™ app on their phone and are intrigued by their retail increasing and start a conversation about it with other stylists,” he says. Before they would just learn their numbers at quarterly reviews, now they’re stopping me every day to share their numbers,” Hammond says. 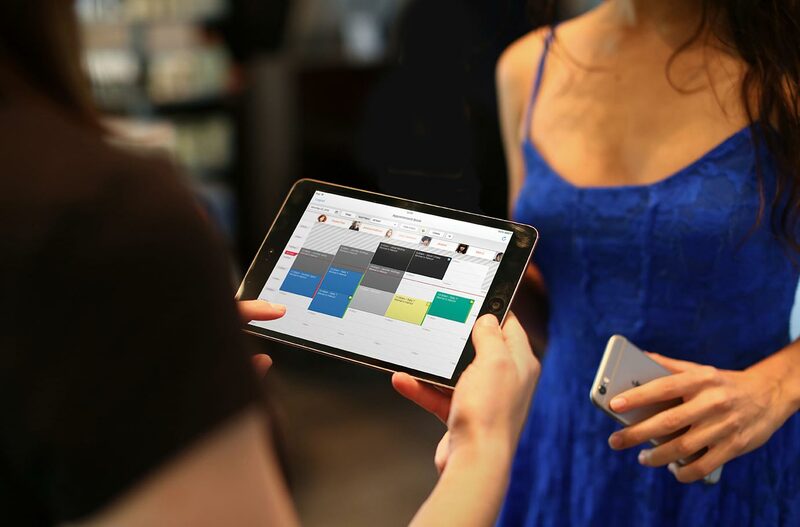 The implementation of no front desk and the Salon Biz tablet app has been so successful in the Strongsville location that Hammond says every John Robert’s salon and spa will do the same in the future. 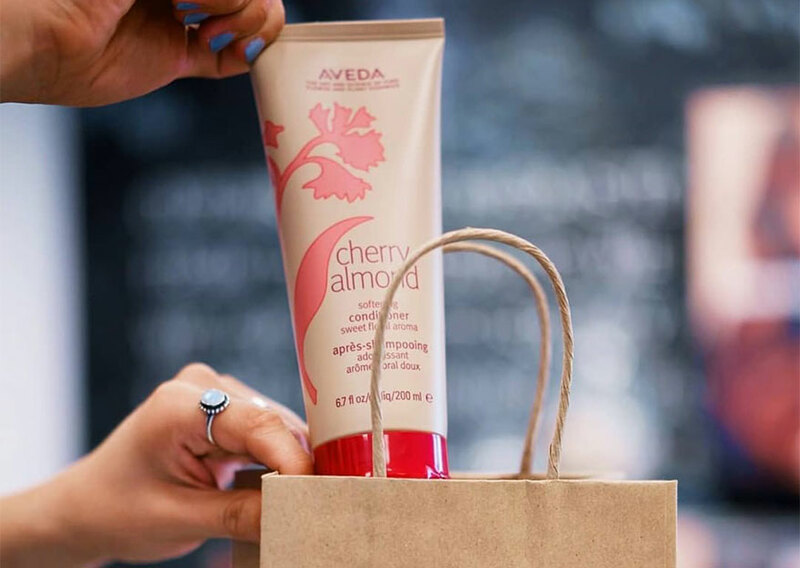 For Whole Aveda Salon Spas, the key to success with new hires was creating a New Hire Boot Camp. Since then, they’ve been keeping more guests and hitting all their benchmarks. It’s easy to get bogged down in benchmarks and KPIs when you’re trying to grow your numbers from year to year. But sometimes, you have to pull your head out of the books and have an honest conversation with your stylists. Behind the chair is a natural place to talk about retail with your guest, but it’s not the only place. The retail conversation should start during the consultation and continue through each wedge of the service wheel, from start to finish. Need to Attract More Guests? Hire a great team? Opening a Salon? We Can Help. Wherever you are, we will help you get to where you want to go—faster. Everything we do, we do to help you grow, and our Salon/Spa Development Partners will help guide and support you every step of the way. Our promise is to make sure you have the best support and service in our industry. This site was created to answer challenges and share inspiration. You’ll find the stories of some of the most successful salons and spa in the world—their struggles, their breakthroughs, their successes. We hope their stories help you in your own business. 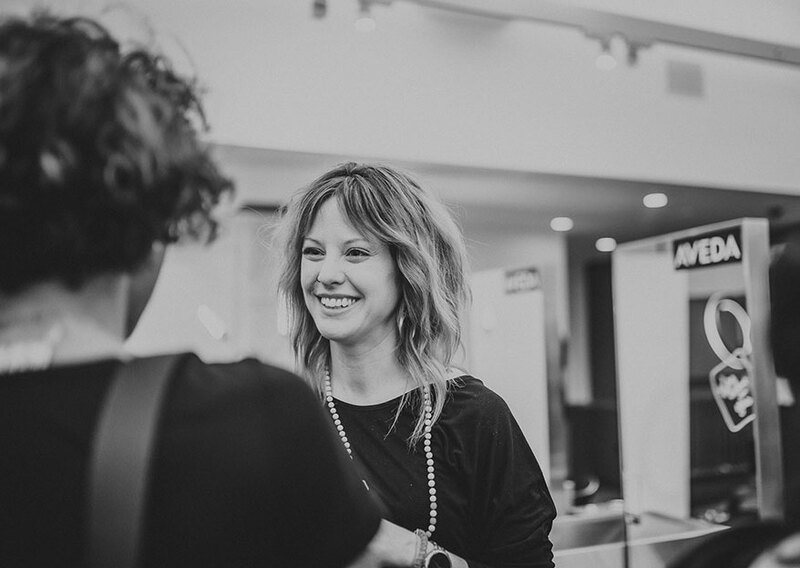 INTERESTED IN BECOMING AN AVEDA SALON?